If you haven't seen Maui by helicopter, you haven't seen Maui. When I first came to Maui many decades ago I hiked and traveled just about every place possible. When I took my first of many Maui helicopter tours I was in the air no more than 10 minutes before realizing I had no clue what the island really looked like. Isolated valleys, hidden waterfalls, secluded ridges, triple-canopy rainforests, and mountain summits. Some areas are so dense and rugged they are impossible to traverse on foot. 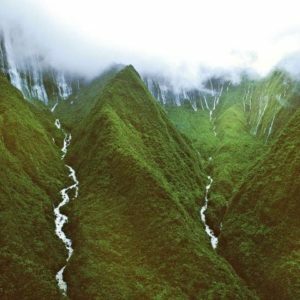 Some species of animal and plant life are so isolated in their Maui habitat they exist only in their own little valley and nowhere else in the world. Where the Maui Helicopter flights take you. 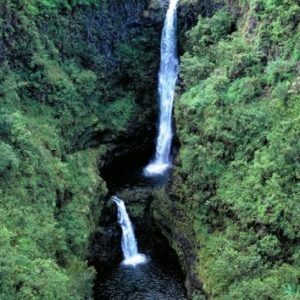 Island Helicopter flights include Haleakala Crater, the Hana area and the West Maui Mountains. Hana and Crater Helicopter flights are the same as the Circle Island but exclude West Maui. West Maui flights include West Maui only. West Maui and Molokai flights fly across the channel and visit the eastern half of Molokai as well as seeing West Maui.